Hunt down zombies with help from Rick Grimes – no matter where you’ve wandered off to! With The Walking Dead Rick Grimes Pop! 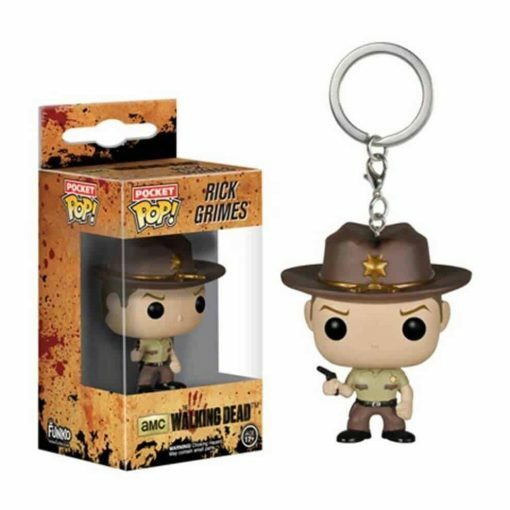 Vinyl Figure Key Chain, you’ll get your favorite fun rendering of Rick in his iconic Pop! Vinyl Figure styling, but shrunken down and made for your keys! Rick Grimes measures 1 1/2-Inch tall and comes on a key ring.